One of the most important video lectures you will ever see on the history of the GMO industry and their agenda…CCFSH. 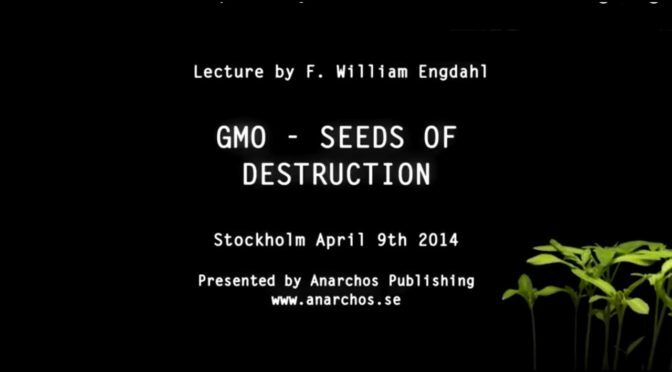 Opendox.se and Anarchos present F. William Engdahl’s lecture about GMO – genetically modified organisms; Monsanto; international politics of patenting plants and animals; central governance of all food production; controlling human birth rates and depopulation programs. F. William Engdahl (born August 9, 1944) is an American German freelance journalist, historian and economic researcher. After earning a degree in engineering and jurisprudence from Princeton University in 1966 (BA), and graduate study in comparative economics at the University of Stockholm from 1969 to 1970, he worked as an economist and free-lance journalist in New York and in Europe. His first book was called A Century of War: Anglo-American Oil Politics and the New World Order. In 2007, he completed Seeds of Destruction: The Hidden Agenda of Genetic Manipulation. Engdahl is also a frequent contributor to the website of the Centre for Research on Globalization. Anarchos is a Swedish publishing house which provides works with alternative world views and ideas from authors and researchers like F. William Engdahl, David Icke, Bill Still and many more – often translated from to Swedish. Read part one of this blog. 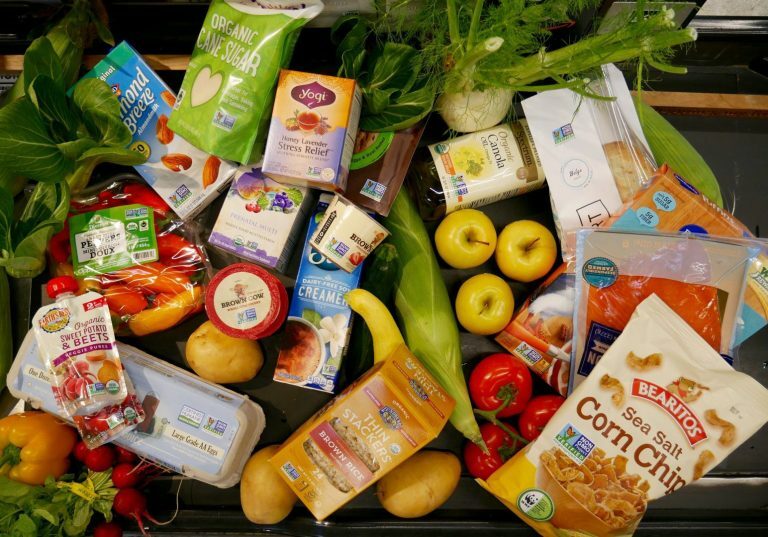 The National Bioengineered Food Disclosure Standard requires some food producers to put labels on some products that contain GMOs. Unfortunately, there are two glaring problems with this law that mean consumers will still not be able to tell what is in the food they are eating. Let’s take a closer look at disclosure options and exemptions under the NBFDS. Use a text-only disclosure including “bioengineered food,” “contains a bioengineered food ingredient,” and “derived from bioengineering.” “Bioengineered food” means that all ingredients in a product are or could be derived from GMOs. “Contains a bioengineered food ingredient” means a product contains at least one GMO ingredient, and other ingredients may or not be made with GMOs. “Derived from bioengineering” is a special voluntary disclosure. These symbols (and other types of disclaimers) will begin to appear on packages in 2020 to indicate the presence of GMOs in food. These symbols say “bioengineered” but they do not explain what that means or how to find more information about it. Many supporters of genetic engineering (also called genetic modifications or GM) argue that GM crops are needed to stop global hunger. They say the technology will increase crop yields and allow us to produce enough food to feed the world’s growing population. But the world already produces enough food to feed 10 billion people, which is the number our population is predicted to reach by 2050. And where there is hunger, it is mainly a result of poverty and inequality, not insufficient food production. The reality is that people go hungry today because they lack the money to buy food or because they do not have access to the land, water and the other resources they need to grow food themselves.GM crops do not address these causes of hunger and, so far, they are not increasing global food production. The evidence to date shows that genetic engineering has not contributed to an increase in crop yields. Overall, conventionally bred non-GM varieties remain more effective and are less costly to develop. It is these seeds – not the GM traits added to them – that account for yield increases seen in crops like soy and corn. This explains why yields for corn and canola in Western Europe, where GM varieties are not grown, have increased at a similar rate to, or higher rate than North America where production is dominated by GM varieties. The pro-GMO lobby claim critics of the technology ‘deny farmers choice’. They say that farmers should have access to a range of tools and technologies. It is all about maximising choice and options. Taken at face value, who would want to deny choice? At the same time, however, we do not want to end up offering a false choice (rolling out technologies that have little value and only serve to benefit those who control the technology), to unleash an innovation that has an adverse impact on those who do not use it or to manipulate a situation whereby only one option is available because other options have been deliberately made unavailable or less attractive. And we would certainly not wish to roll out a technology that traps farmers on a treadmill that they find difficult to get off. When discussing choice, it is can be very convenient to focus on end processes (choices made available – or denied – to farmers at the farm level), while ignoring the procedures and decisions that were made in corporate boardrooms, by government agencies and by regulatory bodies which result in the shaping and roll-out of options. Where GMOs are concerned, Steven Druker argues that the decision to commercialise GM seeds and food in the US was based on regulatory delinquency. Druker indicates that if the US Food and Drug Administration had heeded its own experts’ advice and publicly acknowledged their warnings about risk, the GM venture would have imploded and would have never gained traction. There are no genetically engineered (genetically modified or GM) wheat varieties approved anywhere in the world. None have ever been commercially grown and sold. However, field trials of different GM wheat varieties continue in Canada and the US, at undisclosed locations. There have been three GM wheat contamination incidents reported in the US (2013, 2014, 2016), all with Monsanto’s GM herbicide-tolerant (glyphosate-tolerant) “Roundup Ready” wheat. In 2004, Monsanto withdrew its request for approval of its GM “Roundup Ready” wheat in Canada and the US after protests from farmers and consumers along with resistance in the international market. What is a Genetically Modified Organism, who should care about it and what does it have to do with a cosmetic site? From the cosmetic perspective, plants are a significant contributor to natural cosmetics. Fruits, herbs, trees and seeds are only a few examples of the many parts of a plant used in natural cosmetics, for thousands of years now. Have a quick browse at some natural cosmetic recipes to see for yourself. Genetically modified organisms have been around for a few decades already and has been quietly moving into our lives without much attention. Bacteria’s, yeasts, insects, plants, fish and mammals have all been genetically modified. This engineering principle of playing in unknown territory has been traditionally limited to scientific research and producing goods, and only in the last few years has the industry realised the financial benefits of using GMO in food production. Because of this “new product” in the GMO portfolio, it has become the centre of a lot of controversy and it is important to have a clear understanding of both sides so that you can make an educated decision and get on with your life without having to be sucked into this controversy.